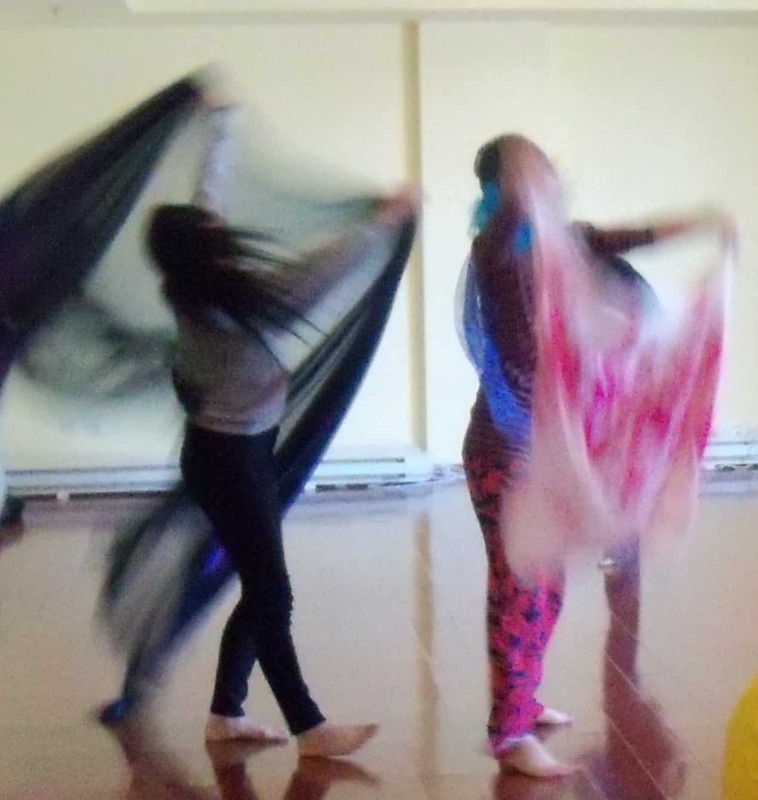 This article presents a British tutor’s reflections on teaching Dance Movement Therapy (DMT), including modules in Laban Movement Analysis (LMA), to Eastern European and Chinese students. The emerging sciences that have impacted therapy practice in the 21st century are presented as important inclusions in all future DMT programmes. The relationship between the culture of the tutor and that of the student is considered in the context of experiential learning, DMT fundamentals and the study of non-verbal communication through LMA. The author raises questions about learning and teaching styles and the expectations of both tutor and student, based on media knowledge of the ‘other’ culture, past history and current socio-political experience. Thoughts are touched on regarding the safe development of the DMT profession in countries where the DMT therapeutic model is new. There is a call for these countries to pay close attention to the developed professional values, ethics and codes of the west, where programmes and registers of accredited professionals are well established. 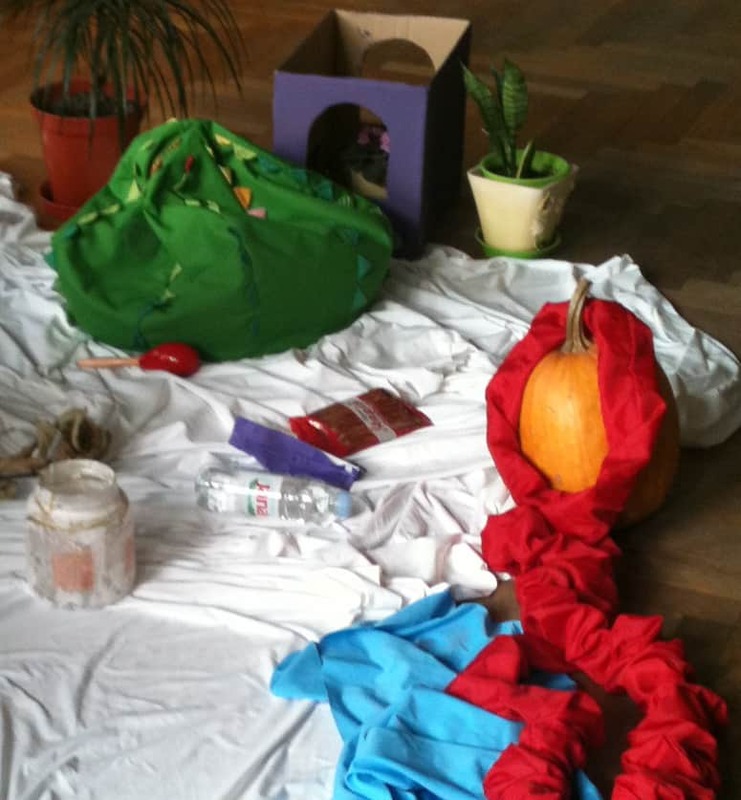 Keywords: DMT; Learning and Teaching; Laban Movement Analysis; lived body; embodiment. Teaching DMT across the world presents unexpected challenges that are a result of the needs of each student group and the specific cultural context. The UK model of training, influenced hugely by America, includes a group and experiential process of learning underpinning the student’s core learning experience. Most DMT trainings in the UK attract a global mix of students including the Americas – south and north, the full breadth of Asia, all corners of Europe, the African continent and the Middle East. In fact, between the years 2004-2007, Goldsmiths University of London programme had only one UK student per cohort. The UK tutor has learned to be cognizant of the group’s cultural diversity as well as individual specific learning needs that include dyslexia, hearing and visual impairments, mobility issues and mental health needs. More recent DMT programmes developing in the post-‘Eastern Bloc’ of Europe attract a more mono-cultural student group. The cultural diversity in these groups may be of a religious, financial or educational root and have most certainly been influenced by the socio-political history of boundary changes and national independence. In some cases we most definitely need to be sensitive to the mental health needs of the student community and hold this awareness throughout the training modules. The challenge for the UK tutor is to gain an understanding of the group’s expectations and the socio-political influences on their learning and engagement abilities. I believe there is great strength in the experiential learning model that DMT engenders, which allows the tutor to facilitate and embrace the range of needs present at any one time. Due to the ongoing systemic shifts, transitions and traumas we are experiencing in the 21st century, we are all challenged to become increasingly aware and mindful of our fundamental similarities; because we are all human beings, and the stark differences between us; because of the lack of shared experience of the trauma of civil war, the loss of a child, the violence of sexual abuse or endemic racism, to name a few of the issues that may be present in the room. Over the last 25 years of providing DMT training programmes, teaching practice, supervision and course coordination the author has gained increasing clarity on the training essentials that equip a graduate to enter the world as a dance movement therapist with a toolbox fit for many purposes. The nature of DMT is fundamentally a training in deep person-centred practice which require well honed tools of empathy and resilience. In addition, with the current surge in knowledge and understanding of bodymind processes it is becoming increasingly important to include new modules that will present and explore the neurobiology of human experience. Such modules might cover somatic awareness of the inner biological responses to human experience, a focus on attachment theory and psychotherapeutic interventions, developmental neuroscience, emerging safe trauma treatments and the developing brain (1. Schore, A. 2012), combined with the complex tools that offer us deeper insight to the externalised expressive body that can be learned through the Laban Bartenieff Movement System (2. Studd, K & Cox, L. 2013), Body Mind Centering (3. Bainbridge Cohen, B. 1993). These bodies of knowledge offer new treatment considerations and models for working safely in DMT with children and adults surviving trauma, abuse and neglect with chaotic consequences. There are many emerging titles for this new paradigm of DMT that include Sensorimotor Movement Therapy, Restorative Movement Therapy, Movement Psychotherapy, Somatic Movement Therapy, Developmental Movement Therapy and Relational Somatic Therapy to name a few. Interestingly, as we embrace the global community new programmes gravitate to the title of Dance Movement Therapy, evidencing the magnetic pull communities feel towards the roots of the profession. Perhaps our greatest challenge lies not in the name but in the mainly female population of training groups, which pattern seems to be replicated across Europe and China. My first teaching experience outside of the UK took place in 2002 when a Laban Centre London colleague, Sue Curtis RDMP, and I travelled to Ukraine to facilitate a week-long training event with The British Council. This training opportunity was offered by The British Council to Ukrainian NGOs to equip their support staff with a wider tool-set for their challenging roles. The participants comprised workers engaged with supporting children of all ages; estranged from their parents and living on the streets or in hostels. We met mainly women from all over Ukraine as well as from Georgia, Crimea and one man from Kazakhstan. They included teachers, psychologists, psychiatrists, NGO directors, social workers, physiotherapists, dancers, support workers and parents. Communication was enabled through excellent interpreters, English to Russian. This in itself was an interesting situation, where the national language is Ukrainian there are parts of Ukraine who retain either Russian or their regional language as their own, and so it was decided that Russian would be the language of communication. This decision stirred some national unease between West and East regions of Ukraine and the independent sensibilities of the other regions such as Crimea and Kazakhstan. There was palpable concern regarding the outfall of the Chernobyl disaster and the silence that shrouded that event, and which had impacted many lives of those they cared for, as well as their own. The Dnipro River, rising near Smolensk and flowing through Russia, Belarus and Ukraine to the Black Sea, passes through Chernobyl, and in the past provided the cooling waters for the nuclear reactors. Kiev’s summer playground holds more sinister properties now and the beaches are deserted. Equally distinctive are the reconstructed churches, gold leafed roofs shining brightly in the sunshine representing the hopefulness of the Ukraine people, celebrating a newly acquired freedom to observe spiritual and religious rites, that has allowed some magic back into their daily lives. The foreign tutor brings a curiosity about what they could possibly offer to workers whose history and life experience is so different to theirs. The Russia/Ukraine depicted in the 1950s cinematic travelogues showed the ‘other side’ of Europe, behind the ‘Iron Curtain’, with two distinct images: one of long queues for bread and empty shelves, another of a market woman smiling widely across her plentiful fresh goods flashing a mouth of gold; such diverse and dichotomous presentations of a very large country with the reputation as the ‘bread basket’ of Russia. Would Ukrainians be able to grasp the relevance of DMT when faced with such huge challenges to their society? Would they receive the ethos and principles of DMT with an open mind? Contracting with The British Council is a luxurious professional experience; trainers want for nothing. This training took place in The British Council Kiev offices that offers a high quality workplace, employing high-flying Ukrainians and ‘ex-pats’ to deliver English as a Foreign Language as well as the ‘Best of British’ in arts, culture and community education and training programmes. This high standard of provision respects each visiting resource, supports their exploration of new ideas that allows national participants to engage in a richly creative and innovative learning and teaching environment. Fully funded free places were offered to NGOs who expressed their appreciation of this gift with highly motivated participants. The programme was designed to include skills-based sessions, reflective small group work, improvised movement, Laban informed explorations of movement dynamics, group supervision, small group presentations and question and answer in the large group. The success of these weeks, over five over three years, were felt throughout The British Council building – the buzz of the playful and creative engagement was something all the staff were keen to take part in themselves. The original ‘one-off’ event became a regular engagement over 3 years with new participants each time. A final group of participants was identified as ‘la Crème de la Crème’ from previous programmes, who were offered a ‘training for trainers’ course in ‘DMT Skills’. There are professional issues that such an introductory series presents that require serious consideration. Questions arise about how a country or community might begin to establish a new professional model, which brings such benefits to children and young people with whom the participants are engaged. The trainer’s dilemma is to trust that the new emerging group will retain their tutors’ professionalism and recognise what skills have been developed while being clear about the further training requirements necessary to reach full professional status as a DMT. The main obstacle to establishing a robust training programme is financial and in communities like Ukraine, where financial stability has not yet been achieved, professional trainers from the West is provided on a voluntary basis, which can undermine the full professional status and expertise of the tutors and the need to grow in strength as a fully recognised profession. The final group of participants founded The Association of Dance Therapy for All Ukraine and proceeded to establish a qualifying course drawing on foreign tutors. DMT’s journey from the USA and UK to ‘the rest of the world’ might be in danger of presenting as evangelist. American or British tutors populate most programmes, bringing their cultural perspective on exploring the self and other, largely drawing on western psychology and creative practice. As the new programmes produce qualified DMTs, many of who will already have secure academic backgrounds, they seek to cultivate regional tutors who speak from a shared lived experience with their students. One of the evangelist modules that several US and UK tutors bring is their passion for the tool of observation and analysis of human movement, Laban Movement Analysis (LMA). Rudolf Laban developed his interest in human movement as a young boy, while travelling around the world with his Army General father. He became fascinated by the different rites and rituals of each army as well as intrigued by the quality of movement, its similarities and differences, across cultures. The LMA system that we teach today provides a solid basis for understanding oneself to support new tools for engaging more efficiently and effectively with others. As DMTs LMA offers a system that enables therapists to meet the client where they stand, here and now. It provides complex and intricate tools for attuning non-verbally, sharing time and space without judgement, noticing signs of discomfort while knowing the difference between repetitive Shape Flow self check-ins, social ticks or signs of acute anxiety. With a deeper understanding of self and a developing ability to work with what is and not what might be, the non-judgemental approach, the therapist can operate across cultures with ease. Each person can be seen as unique and their perspective appreciated as their expression of their lived experience. 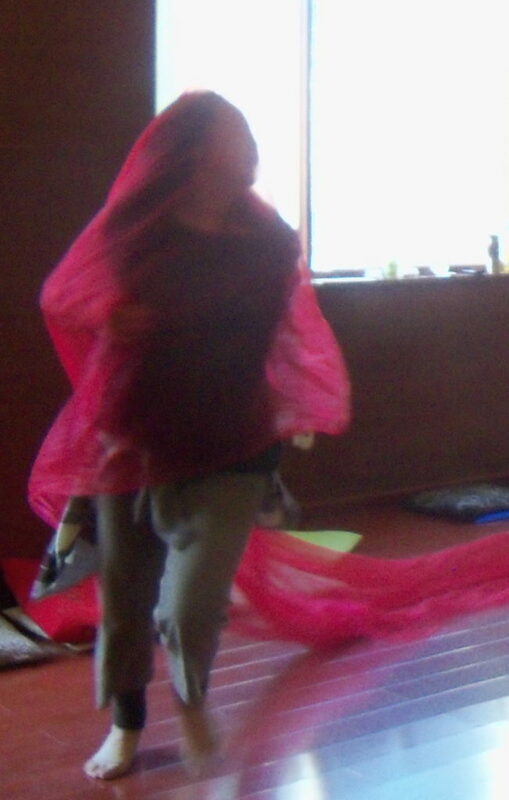 Laban identified that the language of the body is universal and he offered us a tool to communicate with this universal language, of non-verbal expressive movement. The tools of observation and analysis support what is felt and known through the lived body. 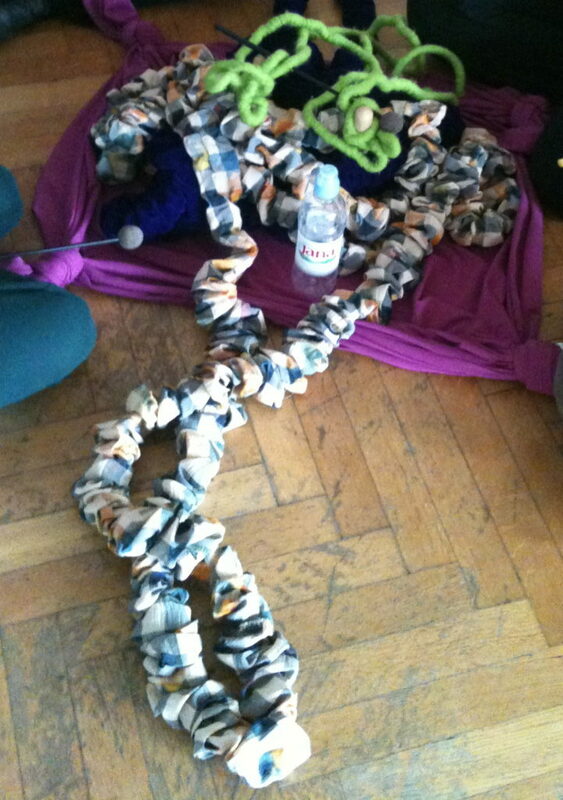 During a recent weekend in Poland a student group was challenged by their very real conflict between the acceptance and ‘kudos’ of the spoken and written word of theory and knowledge and the less tangible non-verbal lived experience of the embodied self. The age-old battle rushed forward between the perceived primacy of the written word of the cognitive psychologist and the silent expression of the embodiment of self. The quiet truth of non-verbal communication is often both disarming and threatening, and therefore ignored, repressed, dissociated from the body. Words can mask the deeper sensations of confusion, fear, and anxiety, while gestures and postures, when explored, experienced and witnessed, reveal the vulnerability of the human condition. DMT is cognisant of the need to bring the embodied and cognitive self into a unified whole where the somatic self is heard and understood and made rational through speech and the written word. This conflict is felt and experienced throughout the ‘modern’ world, whether East or West. Industrialisation has forced us to compartmentalise ourselves in order to survive an unnatural state of production and the rational, cognitive activity of the intelligentsia has taken precedence over the primitive self. In Freudian terms the Super Ego has overridden the Ego by entirely supressing the Id. 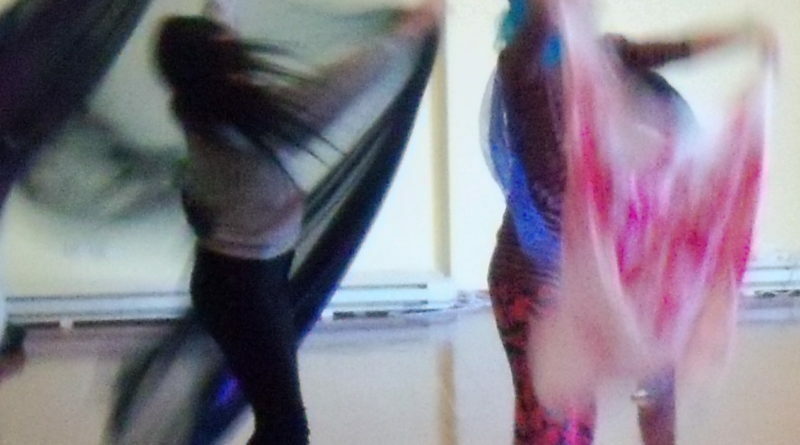 In true Laban style, teaching is a process of enabling participants to trust themselves and each other to discover the unexpressed, the true sensing-feeling-thinking self, allowing creative expression of what is unknown to become known. Each country presents their culture, history and life experience in different ways. It is the trainer’s responsibility to gain as much knowledge of the context of the teaching as possible. But this is not necessarily accessible from outside the country. Books, the media and the internet provide a picture that is the desirable, acceptable profile that the establishment wishes to project. So tutors must develop an approach where the observation antennae are activated on landing. These antennae are awakened to take in the way in which people greet each other, the configurations of families and couples, their dress and their customary communication styles, whilst also noting the behaviour of the working people of and around the airport. Then the host, or assistant, arrives and conversation niceties begin. Brief glimpses of the new world are offered through conversation and through the taxi window. There is always a shared concern about the global financial crisis! Teaching LMA for DMT students in China opens up a new world perspective again. The western tutor is faced with participants who are experiencing a momentous transition from traditional cultural values that have a communistic root to absorbing a westernised capitalistic ethos that extols the virtue of the individual. The lived history of a community is presented in many guises as each individual participant grapples with the new information and innovative learning and teaching style. The uncertainty that is felt by the tutor as she facilitates each new learning experience may be received as defensiveness, fear, or suspiciousness when faced by the new and unknown. Chinese students have an expectation to be ‘taught’ in a didactic style, where the teacher knows all and the student learns by rote. DMT is more usually taught using a problem based learning model, where the student is offered a set of parameters within which they are asked to explore an issue, subject or concept; ‘where the learning process [is] at least as important as what [is] learned, and where curiosity [is] encouraged.’ (7. Dewey, J. 1899). Reflecting on teaching DMT across the world it is worth being curious about the role and expectations bestowed on foreign tutors by different cultures. The expectation of the foreign tutor as the ‘expert’ can create an imbalance between student and tutor and put pressure on the learning experience to be one of ‘say’ and ‘tell’. Where copying from the tutor is a desired outcome, rather than learning from oneself and the group, guided by the tutor. The ‘how’ of teaching is as important as the ‘what’, and so learning experiences are designed where the group can explore a concept from their own individual and/or cultural perspective. There is often a student desire to read articles and chapters suggested beforehand to inform the practical learning experience, and this presents a further challenge. Most texts are available in English, French or German giving limited access to relevant material; all the more reason to teach from the lived experience, exploring the embodiment of concepts. Where possible, western psychotherapeutic theory can be woven into the experiential learning, as many of these theoreticians eg Bowlby, Freud, Jung, Rogers are translated into a myriad of languages and studied in established Counselling and Psychotherapy trainings. The LMA concepts that inform DMT are focussed on the non-verbal as it is expressed through developmental patterning, quality of gesture, emerging repetitive postures, points of merging of posture and gesture, the dynamic interaction between self and other, our relationship to our environment, both immediate and the wider context of city, country, what is evident in our bodies of our family and cultural history and how we react to the emerging awareness of the richness of all of this and more. Who needs words and theories when we have many worlds to explore in the body? Author: Susan Scarth, MCAT RDMP CMA Dip Sup.